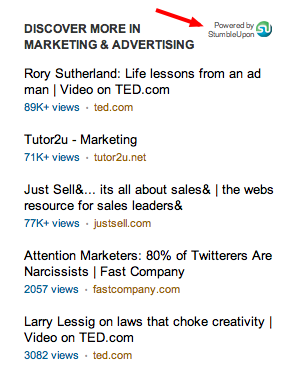 I’m now convinced that an active LinkedIn profile is essential for almost anyone who wants to cultivate a career. Even if you are satisfied in your job, LinkedIn can bring you unexpected opportunities. Canfield herself says she was sending a LinkedIn message to an old public relations client, asking for advice about travel to London and Paris, when the contact responded with the tip that LinkedIn was hiring. Canfield wound up getting the job. That’s the way traditional networking operates, but since it’s digital and nearly instantaneous, LinkedIn can be startlingly efficient. I’ve written two how-to stories on using LinkedIn, one about the basics of signing up, the other on advanced tips. Click here for the how-to slide show, and here for the slide show on advanced tips. I had another conversation with Canfield this week, and with a career coach source, Robert Hellmann, whose book, Your Social Media Job Search, has a new edition coming out in August. Consider this story an all-levels tip list aimed at those who are still timid about taking the LinkedIn plunge, and others who might want to use more advanced tools and check out new features. I’ll start with basics and wind up with new features. If you are setting up your profile quickly and only want to include the bare bones, be sure to list as many of your past positions as possible. If you’ve been in your job only a few months, and that’s all you include, you will look like you are just starting your career. Canfield says that recruiters routinely search according to years of experience. Canfield says LinkedIn has found that profiles with photos are seven times more likely to be viewed. Also, if you’re reaching out to old contacts, they may be more likely to remember your face than your name. If you’ve married and changed your name, a photo can clear up the confusion. LinkedIn has settled on 50 as the “magic number” that will increase your networking chances. Career coach Hellmann recommends 70 connections. 4. Connect with people you know. Career coach Hellmann advises a do-unto-others rule when deciding whether to connect with other LinkedIn users. “If they’re total strangers, they’re not going to help you and you’re not going to help them,” he observes. Would you be willing to correspond with this person, and/or send an email on the contact’s behalf? Then you should connect. One caveat: Some people use LinkedIn to promote products, in which case they want a sprawling network, including strangers. But if you’re using LinkedIn as a job search tool, make sure you know your contacts well enough to want to network with them. This is a pet peeve of mine. When you send a request to connect with someone, always take a moment to alter the default message, even if just to say something like, “Hey Jack, Let’s connect.” Think of how you feel when you receive a form letter. I feel alienated, and less inclined to respond. There’s a new threat to personal privacy online. In the name of corporate compliance, tools are emerging that let companies monitor and manage social networking posts, including user account profiles. Including LinkedIn. What is disruptive about this announcement, of course, is that user account profiles — and LinkedIn in particular — feel different than simply tweeting or posting news to Facebook. LinkedIn is associated with individuals, not companies, and tends to follow people from job to job. It’s that very continuity that gives LinkedIn its power to help people manage their careers and stand apart from any particular company or role within a company. More importantly, perhaps, your profile is personal — like a biography — and giving a company the ability to intercept changes feels like a Draconian invasion of privacy. Distributed Marketing collected a wide range of comments from industry experts, and their feedback is interesting and insightful. Here are a few to ponder — read the entire post for more. From a practical standpoint, most compliance departments (except in rare cases like military and defense) would not approve of this level of intrusion into an employee’s private life activities (i.e. job searching). I would also imagine they would not want to ever be seen as hindering someone’s ability to get a job or to advance their career. There’s some issue about who owns your social media once you leave your employment. If you were hired to be the company blogger, to create a Twitter account and tweet for the company, to develop the corporate media presence, the work you did while you were employed and those social media accounts you got for the company likely belong to the employer. An exception is probably LinkedIn. They don’t allow profiles for companies - only individuals. Your LinkedIn profile is probably yours, even if the company told you to create it while on the job. Just don’t run afoul of your nonsolicitation or noncompete agreement. Today’s post is written by CareerSparx adviser Hasalyn Harris. After seven years as a producer/anchor in broadcast news, I decided it was time to say good-bye to news-hair and hello to a new career. My job search began in an ideal scenario — I was still employed (though my contract was winding down) and had just wrapped up my MFA (Master’s in Fine Arts). Plus, I had a lot of unique experience to offer the right agency. I was convinced it was only a matter of time before I landed the new job of my dreams. Did I say time? I meant … days. Somewhere along the line, I got the idea that getting a job was easy if you already had a job — wrong! The truth of the matter is: Finding a job (even if you have another job already) is a tough. It’s a full-time gig in its own right. It takes elbow grease (or finger grease from typing cover letters) and persistence. Flashback a year: Glib Hasalyn (me) submits her Microsoft Word template resume (which, admittedly, could have used an extra set of eyes or two in the editing department) to every monster.com opportunity that shows an inkling of promise. Months passed … with nary a call. Not even an email. Automated responses were my one glimmer of hope, although they clearly said “DO NOT REPLY TO THIS MESSAGE.” Was I wrong in thinking I was hirable? Was I going to live out a life sentence in broadcast news? In my seven years of comfortable employment, the way people are hired completely changed. I was using a spear in my search, when what I needed was a net. I wasn’t going to get anywhere if I couldn’t talk to a real person. I’m not saying there is no chance of getting hired if your resume is in among hundreds, but it sure helps to be the piece of pretty paper that is handed directly to the hiring manager. So I got to work changing my approach. PHASE I : I actually took time to make my Linkedin account unique and interesting (you DO have a LinkedIn account, don’t you?). I removed the stuffy language and used my words to show my personality. I also poured over samples of good, creative resumes online — and modified mine accordingly. Once it was revised (and revised again … and again) I got it online — alongside my entire body of work. I figured prospective employers could stop looking if they wanted to, but I needed to put everything I had in a visible space. Maybe that sounds like airing dirty laundry to you, like job seeking is something to be ashamed of, but to me, there is nothing wrong with admitting you need help. And I didn’t just post it once, I posted several times a week – often with a link to my online resume/portfolio. And you know what? It worked. Here’s the thing: Friends/Tweeps/people in general WANT to help YOU get a job. It makes them feel good. I know this to be true, otherwise, folks I hadn’t talked to in 15 years wouldn’t have handed off my resume to their hiring managers or hooked me up with informational interviews with their bosses. Every discussion/connection/interaction prepared me for the next opportunity. When traffic from prospective employers slowed down, I did the unthinkable, I reached out again — this time emailing friends (in some cases for the second time) and sending messages on Facebook and LinkedIn to people who worked for companies I was interested in. If they didn’t get back to me, so what? I tried. I felt proactive. And when they did — it was so encouraging to talk to a real person who had insight about a company I liked. I should tell you – I applied for literally hundreds of jobs, and the only interviews I landed were from internal references. I’ll confess up-front; I’m an introvert. I spend a lot of time on my own – and I find it tiring to be around lots of other people. One of the many things I love about the internet is that it makes it incredibly easy for me, an introvert, to strike up a connection with total strangers. When I’ve been to networking events, I’ve found it incredibly helpful to have some established friends there already. Blog posts – is anyone you know going? LinkedIn – will any of your contacts (or their contacts) be attending? Obviously, this one’s easier if you operate in a pretty geeky world (I hang out with a lot of bloggers and writers...) but more and more people are getting online, in all sorts of professions. If you’re going to a very large event, like a multi-day conference, you may want to make specific plans to meet up. You could even arrive a bit early so you can get a meal with a friend or a small group of friends before the event itself starts. If you’re attending a new event, you might have all sorts of worries about how to get there, what it will be like, who’ll be there, and so on. Find out the dress code in advance. There might not be one – ask friends/colleagues who’ve attended before. Err on the side of over-dressing ... though if you’re in a suit and everyone else is wearing jeans, you may feel a bit awkward. Take a pen and small notebook. As a writer, I carry these with me anyway – but they’re useful to have on hand in all sorts of situations. Take business cards. You might have stock ones from work, but if you create your own cards, try to make them interesting. I use Moo.com to create cards with several different designs – that way, my new contacts can pick whichever one they like best. It’s a great talking point and much more interesting than thrusting a boring black-and-white card at someone. Carry breath mints, a comb, makeup, deodorant etc. Be prepared to make last-minute touch-ups to your appearance before you go into the event. You’ll know better than me what you’re likely to need! Take a map (or know the exact address). Allow a bit of extra time to get there, too, if you’re going somewhere new for the first time. Have you ever been standing around awkwardly, trying to get up the courage to go and speak to someone? The longer you wait, the harder it is! When I was a student, I made a point of speaking in the first ten minutes of any class – that way, I found I was much more confident about contributing as the class went on. The same applies to networking. As soon as you arrive, find someone to chat to. It’s often easy to strike up a conversation in the registration queue, for instance. Questions like “Have you been to this before?” can be a great way to get someone else chatting. Stephanie Sammons is the voice behind Smart Social Pro, a resource for professional practitioners to help them understand how to leverage the power of social media and blogging in their practices. As a job hunter, you need to explore multiple avenues when looking for employment. These include traditional methods, such as networking, online job boards, staffing firms, newspapers, etc. During the past 10 to 15 years, employers have largely shifted recruiting dollars to Web-based venues. Although websites come and go in terms of popularity, if I had to suggest one for job seekers, it would be LinkedIn. 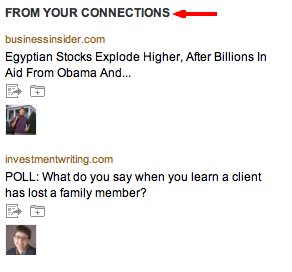 I like to tell people LinkedIn is Facebook for business people. Although no site is perfect, LinkedIn offers numerous benefits. Unlike traditional job boards that only display openings, LinkedIn allows you to network with people relevant to your goals and to view openings. It allows you to post what amounts to your résumé without necessarily admitting to the world you're looking for a job. So it's somewhat safe if you're employed and concerned your boss will see you on there. Just be smart about it. Don't put "seeking new opportunity" on your profile. Employers and recruiters will find you by searching keywords and location and then contact you privately. If you're looking, don't allow people to see the groups you've joined. Membership in numerous job-seeking LinkedIn groups gives your game away. Speaking of groups, consider joining ones that match with these four main areas: your desired industry, job function, location and alma mater. Once you've joined these groups, become active in their discussions. Be seen as a resource to others. This helps you establish familiarity and credibility without coming across as a desperate job hunter as so many others seem to do. 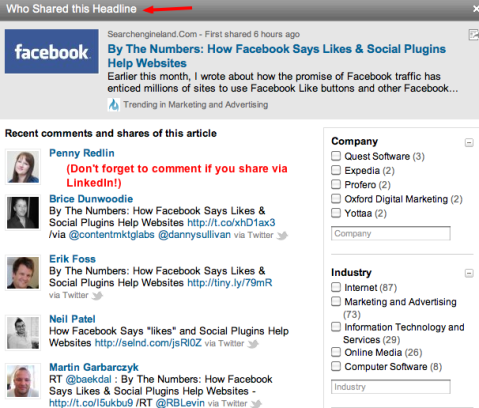 LinkedIn wants you to treat the site as if it's your personal Rolodex. Don't do that. Instead, look to connect and engage with people who, like you, are what's called "open networkers." In other words, they don't limit their connections to only those professionals whom they know well. LinkedIn may take the final step in streamlining the job-seeking process by giving users the option to apply directly through the site. Yesterday, GigaOm reported that LinkedIn will soon be launching a tool that will let users apply to job postings within the site. The “Apply With LinkedIn” tool will appear on employers’ profiles and allow job seekers to use their LinkedIn profiles and resumes as applications. LinkedIn has been an innovator in professionalizing the social media market – a market that’s been extremely profitable. The site single-handedly dominates this space, and while a variety of networking sites are making it easier for you to digitally find and get jobs, LinkedIn remains the best all-around option. The site has been exploring ways to streamline its services and the single remaining step is letting users directly apply to listed jobs. The feature would be hugely popular for users: The monotony and tediousness of e-mailing resume after resume would be just that much easier, and employers would have the option of including check-box questions for applicants (relocation, cover letter, etc). Considering the site recently hit 100 million members, the jobs section of Craigslist could take a serious hit. Of course this isn’t exactly innovative. Monster and CareerBuilder both have an “Apply Now” option: What they don’t have is the reputation LinkedIn has built, or the sheer user numbers (Monster gets some 60 million visitors looking for jobs a month; CareerBuilder gets 22 million unique visitors a month). Neither have social networking down like LinkedIn has, nor have they been able to launch features that compete with LinkedIn’s. Would the ability to apply directly within the site have any effect on companies’ HR and recruiting departments? It’s always possible that when a digital shortcut comes around, someone could lose some responsibilities. But this extension could simply mean that the amount of people applying to specific jobs skyrockets, giving the people in these positions more work to sort through. On the other hand, there are a lot of great candidates on LinkedIn, but every one of them can’t be a gem. The idea of an additional pile of applications may even steer some businesses away from the hassle, especially if they are getting ample amounts as is using the site purely to advertise open positions. Why should you frequently visit your LinkedIn account? LinkedIn, recently connected to cookie scams and privacy breach, has lost a lot of users in the last month. The existing ones have reportedly lost all faith and interest in the website and left their accounts as a skeleton profile. The ones who have lost interest in the business-related social networking site, founded by Reid Hoffman in 2002 and launched in 2003 in Santa Monica, California, may still have a little time left to reap full benefit from the once mighty website. Digit magazine in its latest news section provided a few techniques which could still make your LinkedIn profile valuable and interesting and could even help taking your business to a higher ground. Here are a few of tips from the list. Always remember to fill up all the information boxes in the profile which will let your clients approach you. An incomplete profile often gives the impression that you are not really committed to what you do and may keep them incomplete like you did with your profile. At least try and update the resume and recent achievement section which people are more concerned with. It may take some time in fully updating the profile but it is worth the pain. Make full use of the professional address book. The site has the ability to update your contacts’ information in your address book which saves your time. Your former colleagues are a part of the already established contacts. Keeping in touch with them can really help you grow your connections elsewhere. Keep your LinkedIn account and Twitter account parallel to utilize maximum information. There is an option to connect Twitter account to your LinkedIn account in Edit Profile. Keeping the content on both the accounts is bound to help you and your business partners during negotiations. 1. Put up a photo. What do you think on LinkedIn if you see someone without a photo? Well, I think they have something to hide, or they just aren’t a very experienced LinkedIn user. Either way, there is nothing good about not having a photo. Women often get weird about this, citing stalkers, etc. But, realistically, no one has ever been stalked through LinkedIn. My wife, in fact, has her photo, e-mail address and company phone number on her profile (all good things to have), and has never had any problems at all. And, yes, she is much, much better looking than I am. 2. Join about 45 groups. You’re allowed up to 50 groups on LinkedIn. Join almost that many. By joining 45, you still have “room” for another interesting group. Groups are how you get things done on LinkedIn. I’m always amazed when someone just has one or two groups, or, even worse, no groups. By joining groups people can get to know you and your business. By the way, please feel free to join my groups, “Getting Employed,” for job seekers anywhere at any level, and “Spirituality in Business” for those who value a business model that incorporates spirituality. Be aware I require photos on the profiles to join my groups. 3. Post discussions on groups. What’s the use of belonging to groups if you’re not out there as an influencer? None, really. Don’t be a vapid bystander. Participate! Post discussions on your groups on a regular basis. But be careful. Make the discussion to be something of actual interest to the group. Posting a link to your website to sell something or, even worse, a sleazy video like one person did in a discussion I following, will just make people avoid you like the plague. Post articles (that aren’t self serving), announcements, real events (not promoting or selling your product or service), requests for real advice, and discussions about a topic relevant to the group. Again, no selling! 4. Participate in threads. If you’re just a poster and not a participant, it will become clear you are just in it to promote yourself, rather than be a fully participating member of the LinkedIn community. Participate in threads with useful remarks. Again, no selling! And no “trolling,” either! If you must make political comments, be polite. Don’t attack people. I’m not saying to weasel your words. I am saying to be civil. If you participate in threads, follow the same rules as above. Be useful, not self-promoting. 5. Let it be known you are an open networker. There are two philosophies on LinkedIn. One is more effective than the other. The first, and, in my opinion, completely lame philosophy is you only connect with people you know well. That is LinkedIn’s official philosophy, although they really speak with a forked tongue on this one. This will keep your connections pretty low, and will not build your network. The other philosophy — the one to which I subscribe — is to accept all or almost all connection requests, at least from individuals. I don’t really like connecting with companies, and I am cautious about connecting with someone without a photo (because it could be a fake profile). I see LinkedIn as a very large networking party. Now, at a networking party you don’t just go up to people you know and talk to them. Or, if you do, you’re a lousy networker. So why should I only talk to people I already know. LinkedIn has helped me meet some great new friends, business associates, and networking partners. I’ve gotten clients through LinkedIn. I’ve contacted hiring authorities for my clients through LinkedIn. And I’ve gotten an opportunity to meet very interesting and dynamic people through LinkedIn. All of this is because I’ve ignored the bovine effluvium that says I should only connect with people I know well! Connect and be an open networker.